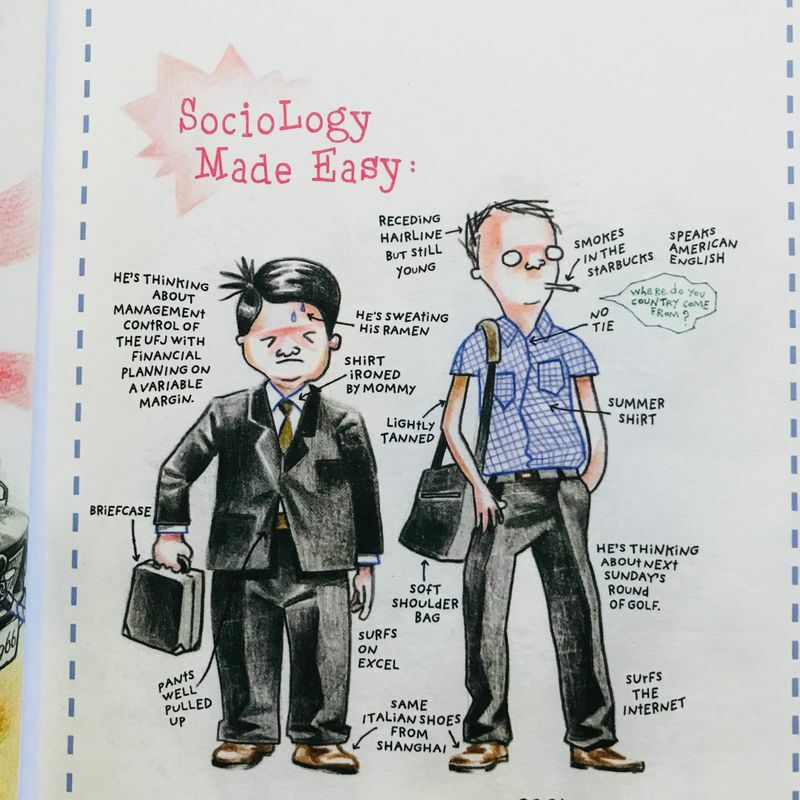 I'm a big fan of great illustration, and I also enjoy getting to know more about the cultural and societal quirks that Japan exhibits on a daily basis. 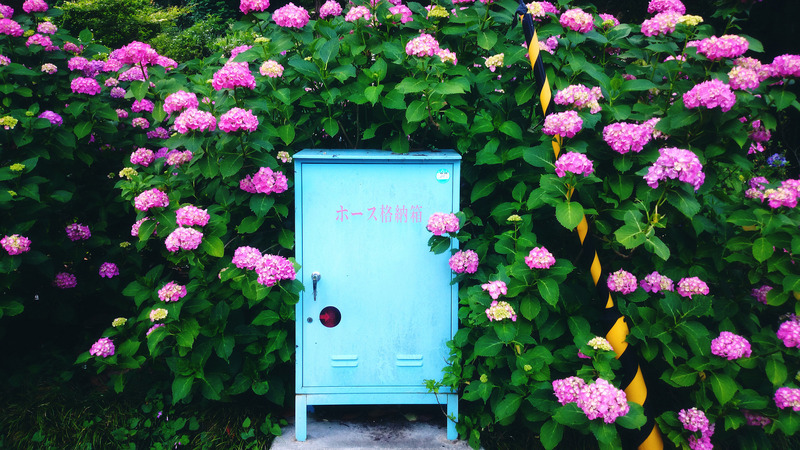 One of my favorite books that pertains to Tokyo in particular is called Tokyo on Foot: Travels in the City's Most Colorful Neighborhoods. 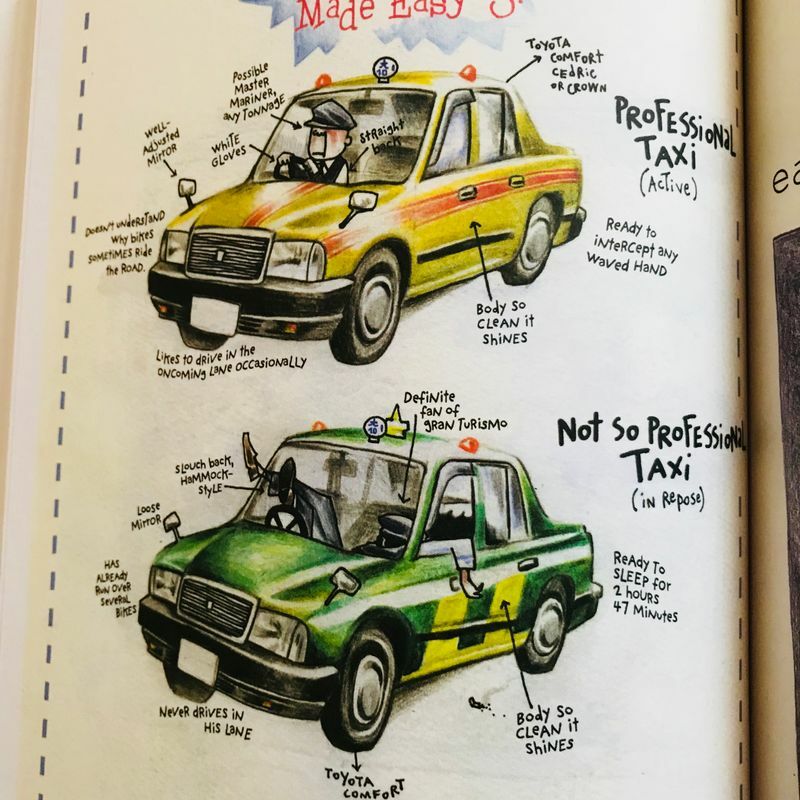 The book is compiled by Florent Chavouet, who lived in Tokyo for 6 months as an expat while his girlfriend completed an internship with a company here. 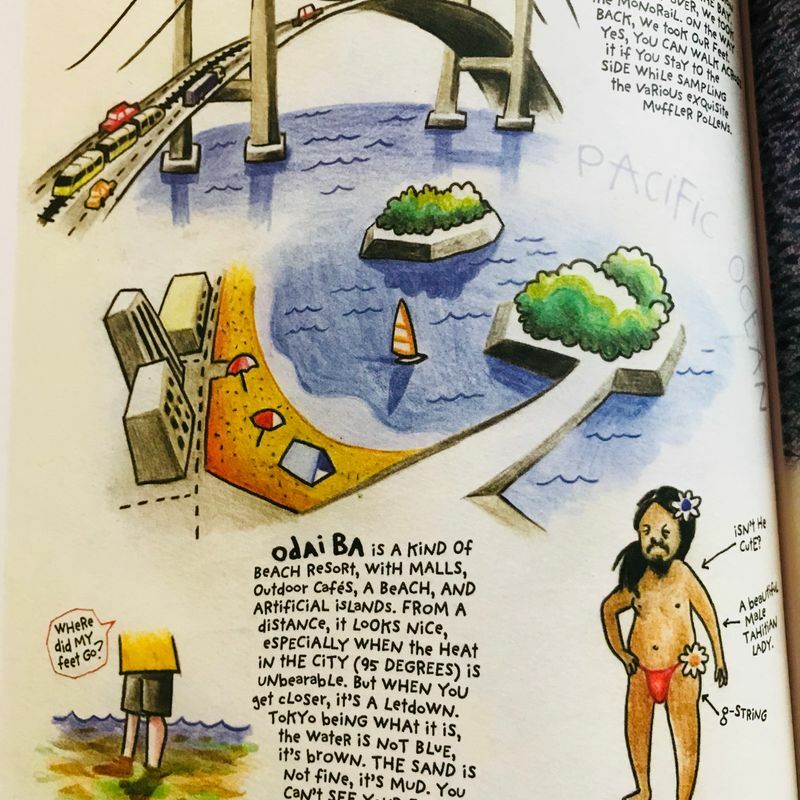 While his girlfriend was at work, he would trip from neighborhood to neighborhood across the city, and draw pictures of daily life that he'd come across. He calls his book a graphic memoir, which is pretty appropriate to what the book contains. To identifying a professional taxi compared to a "not-so-professional" taxi. 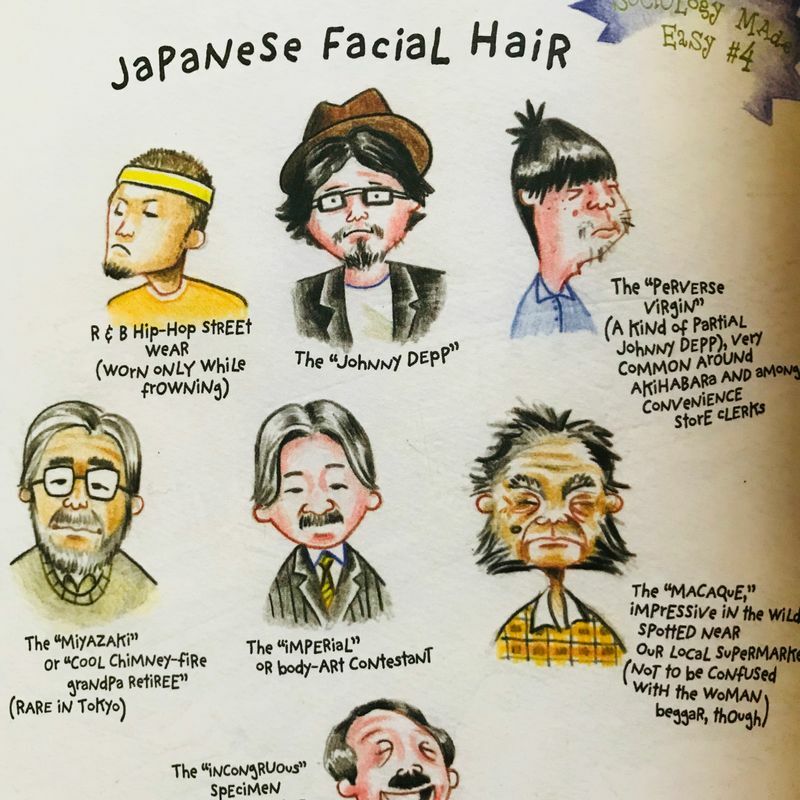 And even a bit of a guide to deciphering the myriad of men's facial hair styles - I'm convinced I've seen each and every one of these across the city. And mini area guides that are honest, rather than necessarily glowing in their praise of certain areas - in a way that perhaps only expats can understand! 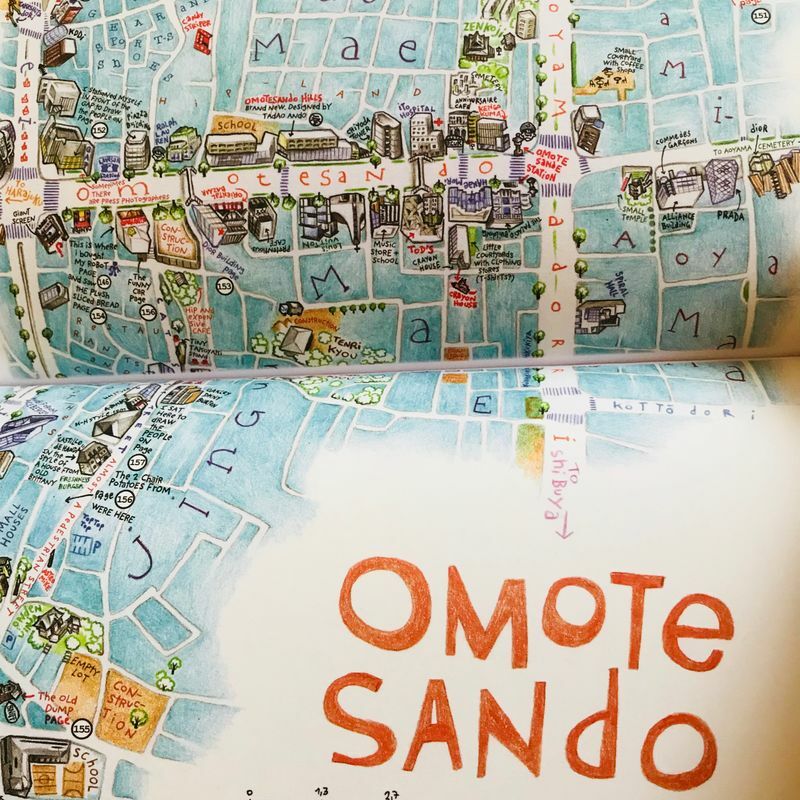 Overall, I really enjoy this book - it's one that I still find myself leafing through from time to time to appreciate the beautiful drawings and relatable sentiments about life in a Japanese city. 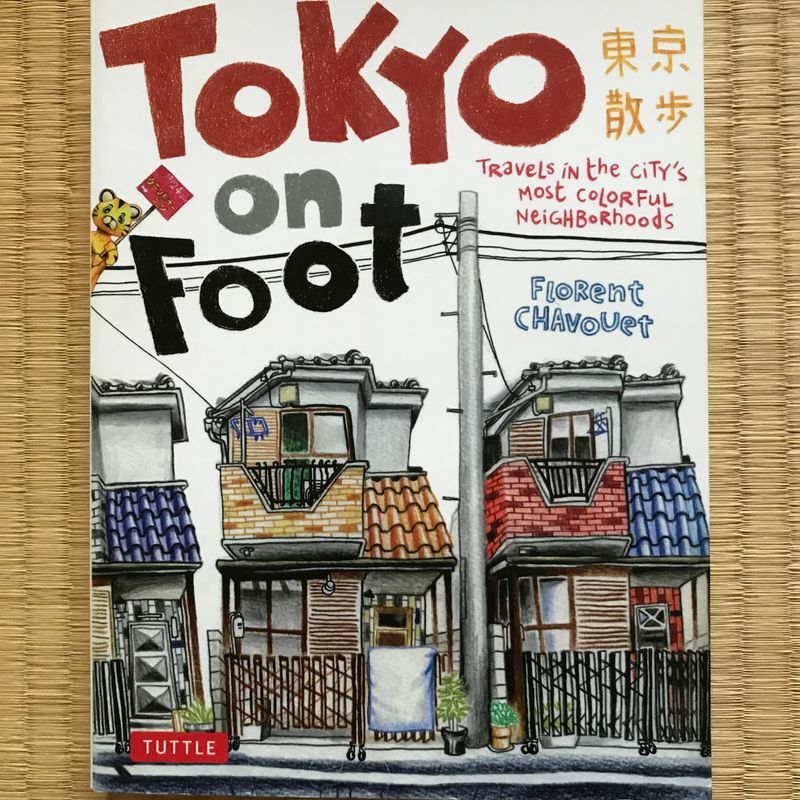 If you'd like a copy of it yourself, or perhaps as a gift for a friend or family member who also loves all things Tokyo, it's available on Amazon Japan at this link.